From rural areas to urban communities, home farms are sprouting up all over the country. And it’s only just begun. Triscuit has created this site with help from Urban Farming, a non-profit organization, to help build a home farming community where both beginners and more seasoned gardeners can dialogue and gather information towards their common mission: to reap food that is deliciously fresh, penny-wise, healthier for themselves and the planet. It’s about home farming, and the everyday joy that grows out of it. 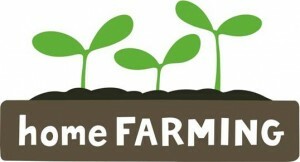 So join us and let’s get farming! What will you plant? « Where did June go?